It was a Friday to remember. 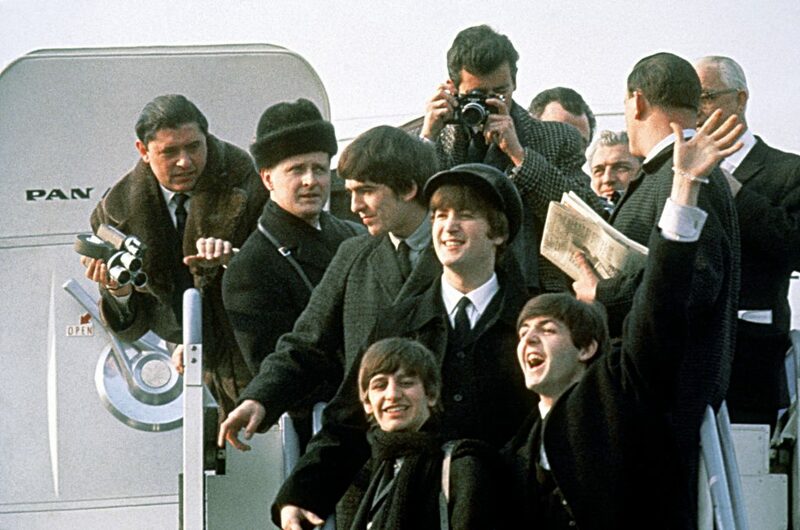 On February 7, 1964, The Beatles arrived on American soil and nothing was ever the same. 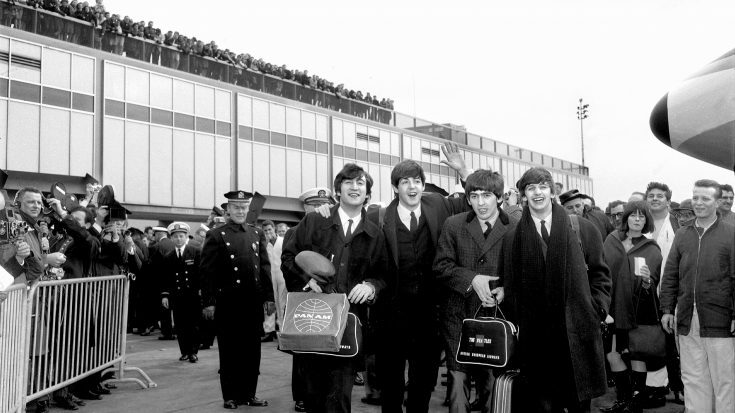 They boarded in London via Pan Am Yankee Clipper Flight 101 and just before 1:30PM, The Beatles landed at the Kennedy Airport to the sound of deafening cheers and high-pitched screams from 3,000 hysterical fans. Six days before, they had their first #1 hit in the US with “I Want to Hold Your Hand.” They immediately held their first press conference inside the Pan Am lounge in front of reporters who have been waiting for hours to cover them. It was chaotic as the journalists threw one question after another. But of course, the boys’ wit and humor helped break the ice. They weren’t what the press expected. From the JFK, they went straight to Manhattan to check in at the Plaza Hotel on Fifth Avenue where they were met with another mob of frenzied fans. They stayed at a 10-room suite on the 12th floor where they gave interviews, waited for important calls, watched themselves on the television, and tuned in to radio stations. It had a fully stocked bar and breathtaking views of Central Park. 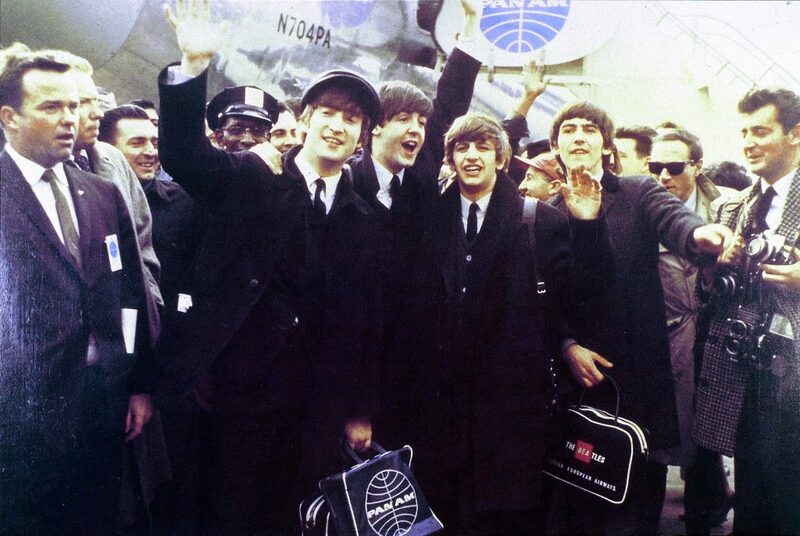 Two days after their arrival, they appeared on The Ed Sullivan Show and millions of viewers tuned in. It was such a hit that Sullivan booked them for two more times. It was a busy month for them as they performed at the Coliseum in Washington, D.C. and New York’s Carnegie Hall.